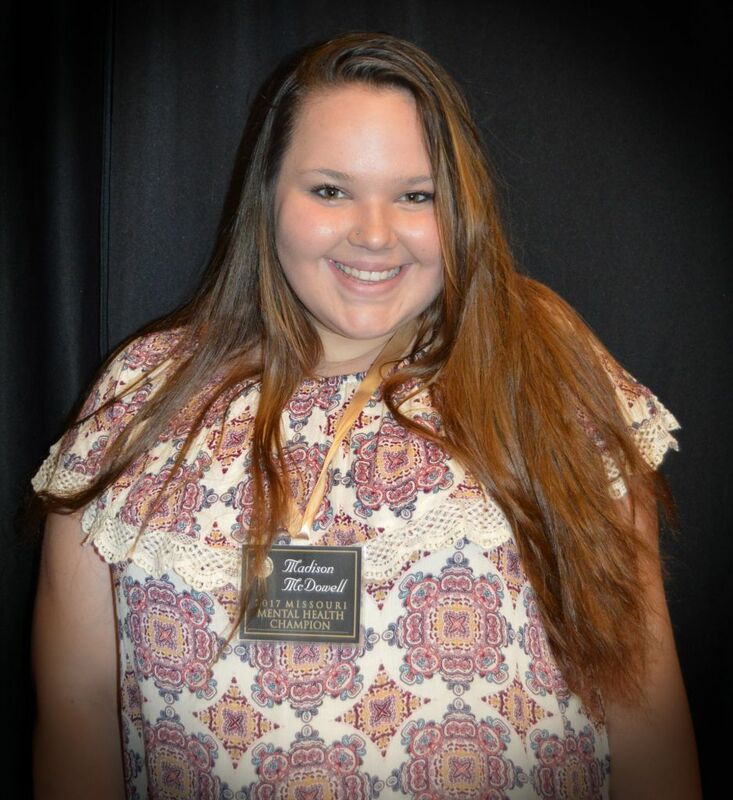 Madison’s leadership, dedication and advocacy make her the first youth to receive this award! After being diagnosed with severe anxiety and depression at the age of 10, Madi faced numerous challenges in her life. Due to her disorders, she had an extremely difficult time functioning outside of her home, thus, she was deemed “medically fragile” and removed from the public-school system. It was no longer just the symptoms of her illness that she battled, but the stigma of being labeled. Determined to get control over the disorders that were putting up obstacles to her life goals, she set about to learn as much as she could about mental illness, and began her recovery journey. She has faced her illness head on and is committed to not only improving her own life, but the lives of others who have been affected by mental illness. She has become a strong advocate and a voice for teens who feel alone. By facilitating weekly informal support groups, she works tirelessly to break down stigma, encouraging youth, and people of all ages, to talk about their struggles and not be ashamed of their illnesses. So that others do not feel alone, she uses social media platforms to talk to other teens and youth about anxiety, depression and suicide prevention, in terms they can relate and understand, frequently sharing hotline phone numbers, tips on overcoming social anxiety and encouraging words to those who may have suicidal thoughts. At a young age, Madi volunteered at the Hope Center in Springfield. For multiple years, she has also been a presenter at the Real Voices-Real Choices consumer conference, while also serving as a youth volunteer. She received the Youth Advocate of the Year Award from Missouri Families 4 Families in 2016, and was nominated for a SAMHSA VOICE Award. She has also worked with the Missouri Department of Mental Health in creating training videos for transitional age youth supported employment. Horses are Madi’s love and therapy! She volunteers at a local veterinary clinic, competes in barrel races, participates in trail ride fundraising activities, while also sharing her courage and strength with others she encounters. She is a genuine young lady with a big heart – mapping her life out full of love, hope & dreams! Madison has overcome so much herself, but continues to focus on helping others. She has made it her mission to not be silent and to reach out to peers to help them understand. Cathy has pursued her lifelong goal of helping people with disabilities and speaking out for those that cannot speak for themselves. She encourages others to get involved so their voices can be heard – as everyone has something of value to share! She has made these goals a reality against great odds. In 2004, she graduated from Partners in Policymaking, a leadership training program. This course was life-changing for Cathy and her foundation in self-advocacy. She then participated in the Missouri Legislative Education Project, an opportunity to learn more about educating and motivating individuals to become more active in creating positive public policies for people with disabilities. This was the start of her Disability Rights Advocacy journey. Cathy serves as the President of the People First of Missouri and as the Treasurer of People First of Independence. 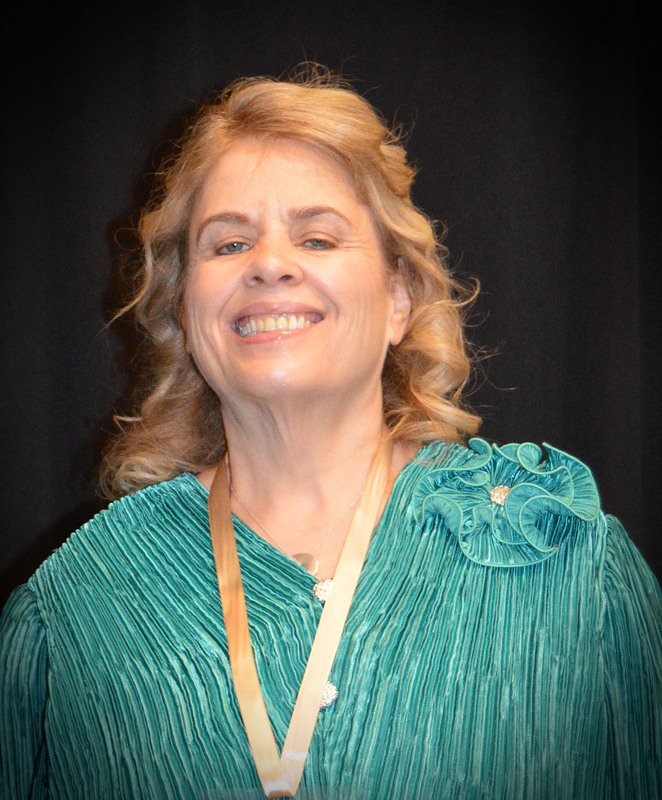 She also serves as the National Vice President of Self-Advocates Becoming Empowered (SABE), past Chair of Missouri Protection and Advocacy, and member of The Arc of Missouri, as well as the Missouri Developmental Disabilities Council. She is also affiliated with Missouri Family to Family, National Partnership Council/Comm. Of Practice/AIDD, Coleman Institute Declaration (University of Colorado), Alliance for Full Participation, the Center for Development of Person-Centered Support Opportunities, Missouri Coalition for Oral Health and the Heartland Self-Advocacy Resource Network. In addition, she has participated on multiple planning teams and committees. She is the recipient of many honors including the Roland Johnson Self-Advocacy Award, Bernece Hobson Meritorious Service Award (Eitas-Jackson County MO SB 40 Board), and the People First of Missouri Self-Advocate of the Year. Also, in working with her State Representative, legislation passed changing language on parking signs from “handicapped” and “disabled” to “accessible”. With determination and confidence, Cathy continues her journey of advocacy, touching and improving the lives of others living with a disability. By example, she continues to inspire others in advocating for the right to make their own decisions, live independently and share their voice. David knows the sky is the limit for people in long-term recovery, which is why he started the #HopeDealer movement. After many years of substance use, multiple overdoses, prison, and attempting suicide, David focused on his recovery, and has now been in recovery since January 2009. He has a Bachelor’s degree in Psychology and Sociology and a Master’s degree in Social Work. For more than seven years, he worked as a therapist with various Greene County Treatment Court programs through Preferred Family Healthcare. He is currently the Missouri Education and Outreach Coordinator for the Missouri Recovery Network. He co-founded the Springfield Recovery Community Center, a safe place for people in recovery to go to meet people who can relate, attend classes and meetings, and a place for fun and learning. In addition, he is the founder and Director of Better Life in Recovery, a non-profit organization that focuses on pro-social activities — dealing hope and fostering dignity for those who struggle with substance use and mental health issues through community services, awareness and education events that celebrate individuals in long-term recovery. This organization enables people to regain hope, enjoy life and become vital to the community in which they live. 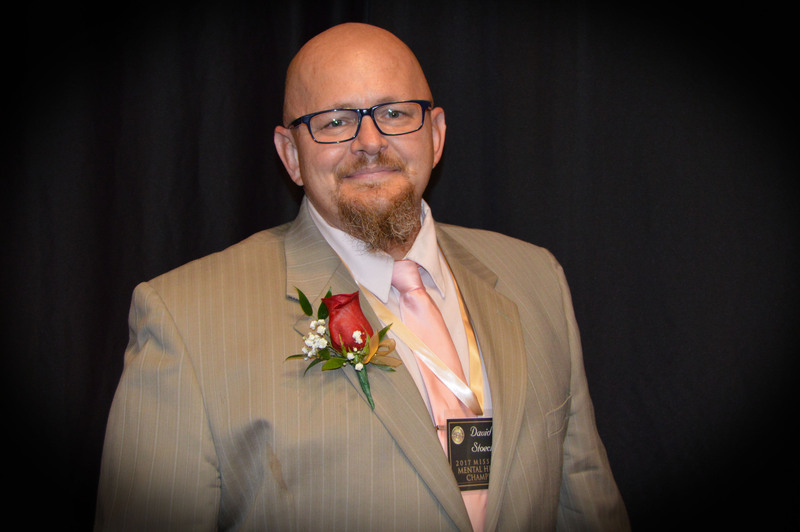 Additionally, his achievements include Vice Chairman of the Missouri State Advisory Council for Alcohol and Drug Abuse, Planning Committee for the first Missouri Peer Leadership Summit and the Real Voices-Real Choices Conference, Board member for Recovery Coalition of the Ozarks, and a member of the Citizen’s Advisory Board for Greene County’s Probation and Parole. David’s tireless dedication, courage and leadership help pave the way for recovery of individuals living with substance use disorders. His goal is to educate people on the wonders of long-term recovery, give people who are struggling hope they can achieve long-term recovery and people in recovery the courage to come forward and be proud of who they have become, while rejoining and making their communities better!